With many influences spanning the decades including The Beatles, Led Zeppelin, Fleetwood Mac, The Smiths and REM, the West Coast Movers have managed to create their own unique sound. 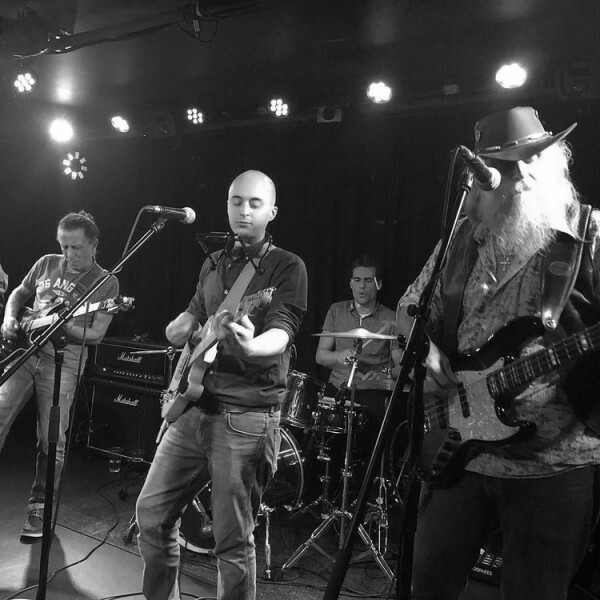 Their mix of bluesy guitars, sweet melody hooks and sensitive lyrics, take the listener back to the now seemingly distant days of good old-fashioned radio friendly rock. Their ethos is simple; its all about the music, everything else is secondary. The founding members met one fateful evening in London in early 2017 when Dom Colletti and Jim West attended one of many generic open mic nights. There were many performers there that night but only one stood out. He was an unassuming character at first glance, but they saw something special in Simon Theobald’s vocals and songwriting style. Later that evening, all 3 got talking and quickly found they shared much common ground. Over the next few months, they began meeting round Jim’s house and writing numerous songs. During this time, many of the songs in their current repertoire were created. In the summer of 2017, Fabio De Fronzo joined the band on drums. With Dominic Colletti on lead guitar, Jim West on Bass and Simon Theobald on vocals and rhythm guitar, their line up was complete. Soon after, they went into the studio and recorded their first tracks. A small number of low-key gigs followed, culminating in the shooting of their first video for “Devil Inside”. Unfortunately, at the start of 2018, just as everything was starting to fall into place, the West Coast Movers received bad news. Fabio announced that he would be leaving the band, as he had to return home to Italy. The split was amicable in nature, but it did mean that things temporarily ground to a halt. Many online ads and failed auditions later, the West Coast Movers finally found a new drummer, Calvin Hansen. Shortly after, in a bid to expand their sound, they also recruited their first keyboardist, Alan Johnson. The line up was now complete. Each member boasts many credentials; Dominic Colletti had a spell on tour supporting Siouxsie and the Banshees during the eighties. He also continues to do regular session work for Stevie Hong, who has a massive following in Japan. Jim West spent time in the eighties backing Tony McPhee of the Groundhogs with his blues band Hard Road. During the nineties, he had a stint with Dumpy’s Rusty Nuts. 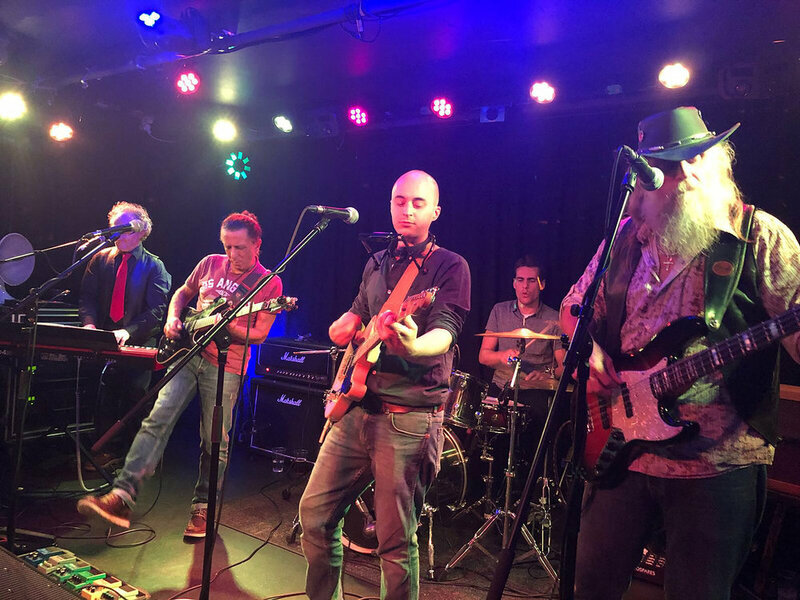 Alan Johnson has been in numerous bands over the years, ranging from classical, folk, pop, reggae, blues, ska and of course good old rock 'n’ roll. Calvin Hansen, born in LA, grew up in Omaha, Nebraska where he first learnt his craft. In December 2017, he moved over to England and started frequenting many jam nights in the London area. 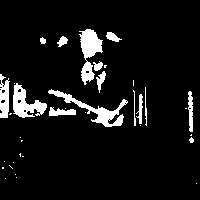 Classically trained on the drums, he has done stints on cruise ships and played in many different bands in the US and the UK. Simon Theobald entered the music world later than the other members. Although music had always been a passion, it wasn’t until his late twenties that he finally recorded his first batch of songs. After much encouragement from friends and family, he began playing at open mic nights. It was during this period that he began to find his voice and direction and eventually met the other founding members of the band. Described as “an alternative/hard rock power frenzy", Static are an energetic power trio from London & Essex playing dirty riffs, wailing vocals and fuzzy bass over heavy drums. Drawing influences from the likes of Nirvana, Biffy Clyro, Rage Against The Machine and Muse, Static are stunning crowds with their immensely energetic and hard hitting performances. With new EP ‘Disguise’ out now, Static are looking to take the next step in their music career with many more gigs and brand new material.